Does the number of coils effect the electromagnet's strength? Does the thickness of the wire effect the magnet's strength? Do different batteries effect an electromagnet's strength? 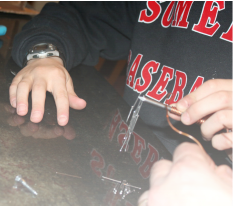 I predict that the more coils that are on the nail, the more powerful the electromagnet will be. I think that the more voltage in the battery, the more mass the electromagnet can carry. I think that the thicker the wire is, the more strength the electromagnet will have. 1. 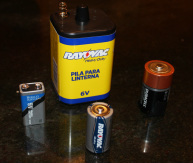 A 9-volt battery, a C battery, a D battery and a 6-volt big flashlight battery. 2. 18" lengths of different gauge copper wire. 4. Washers, small nails, etc. that the magnet will lift and we can measure the strength of the magnet with. Shave off about 1 inch of coating on each end of the wire. Touch a magnetic source to the end the nail. 5. Count how many nails, washers, or screws are picked up. Be careful not to pinch your fingers with wire cutters. 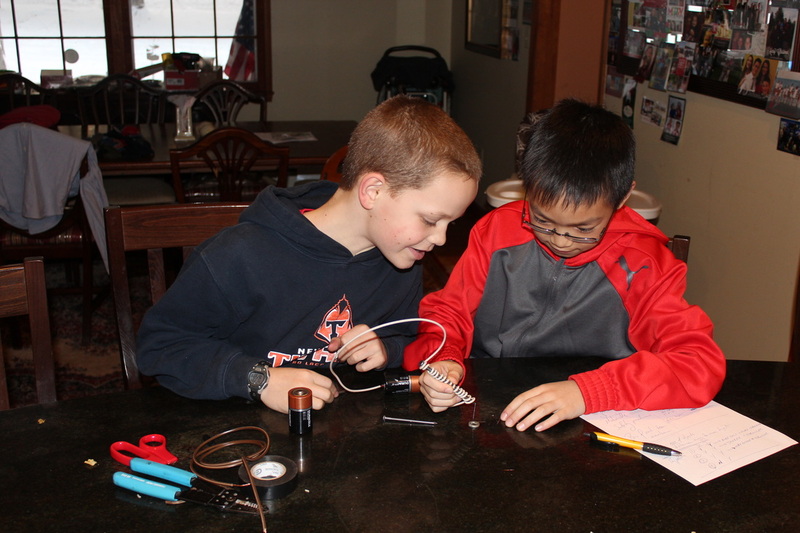 We’ve shown you an electromagnet working. Now it’s time for you to learn how it works. Copper wire is wrapped around the iron bar ( we are using an iron nail ). When electricity flows into the nail, it makes the iron inside of the nail highly magnetic. The difference between the traditional magnet ( the one on your refrigerator) and an electromagnet is that it can be turned on and off from taking one end of the wire off the source( the battery). Hello. My name is Joseph Harkins. I am 10 years old and I am in 5th grade. I love to do science. My favorite 3 sports are baseball, skiing, and pickleball. I like to read the Harry Potter series. In September I will have 8 siblings.